I know this may come as as a shock to oenophiles, but wine is not the only end product of grapes. In fact, the end product of some of our grapes is quite different from wine, especially for those grapes for which we do not have enough plants to create a varietal wine. Unknown grape variety in the vineyard. Unknown grape variety after harvest. 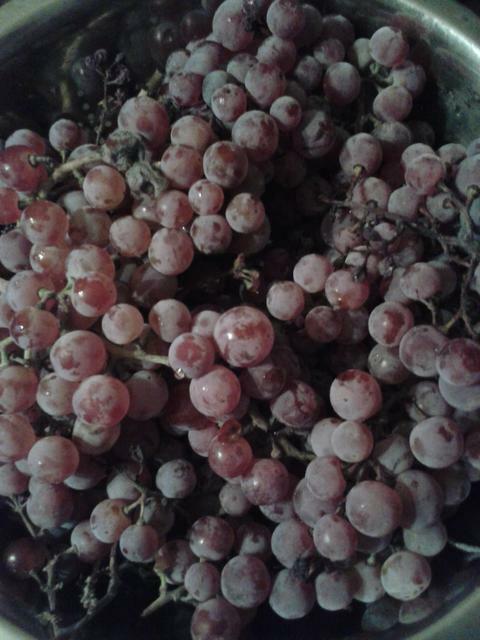 Having a pink skin, it is most likely an eating grape variety, but I honestly do not know (and I even have a book describing almost 100 grape varieties grown in Hungary, and I still can not identify it). I could remove it and plant a wine variety, but it grows well, is disease resistant and makes very good jelly. So it is one of my jelly vines. There are many recipes on-line how to make grape jelly, so I will not give one here as any of them should produce good results. 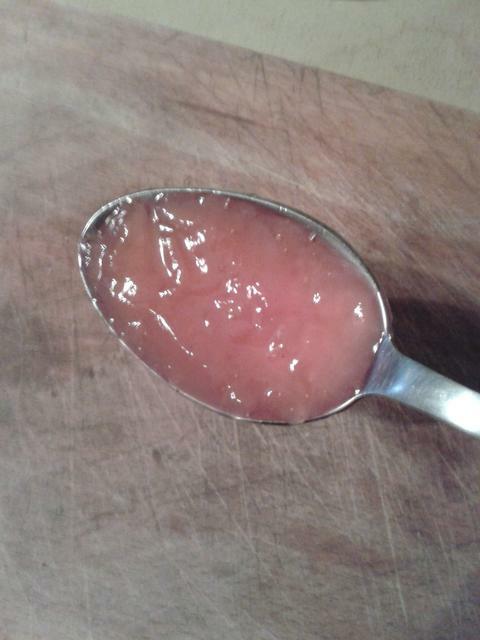 Unknown gape variety resulting jelly. Being a pinkish skinned grape, the results are a jelly that is also pinkish. 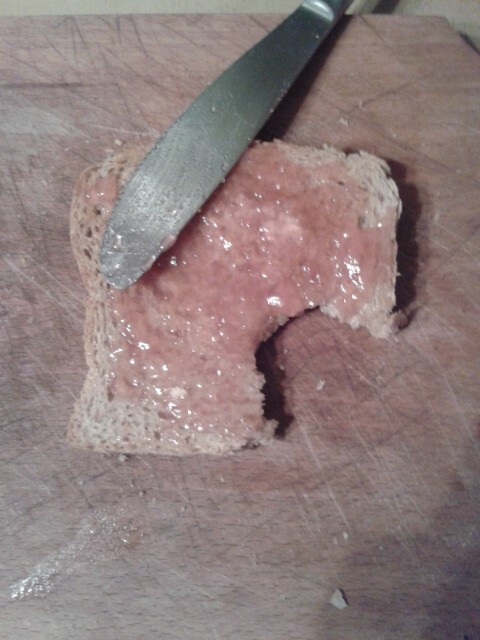 Grape jelly on toast. I could not resist sampling before taking the photo – the verdict was “delicious”. I also make grape jelly out of our Muskotály (Muscat outside Hungary) grapes. Also delicious.